EDIT: Post updated, 3/17/14. See below! So I moved over from Blogger.com because it didn’t allow people to comment without signing in. Why would I want to restrict people that way? So this post is mostly copied from that site with a few changes. This will be a blog about human nature, particularly facts about human nature that are not popular or widespread, or are often denied. This is my attempt to change that. Facts about humanity lend themselves to denial, because while it’s relatively easy to come to terms with some abstract notion about the world, it’s a lot harder when we’re talking about ourselves, because here there may be truths that we don’t want to accept. Nonetheless that doesn’t change these truths, and denying them often has deleterious consequences for people and society. When I first wrote this (6/30/11), ABC had just aired an episode of “Primetime Nightline: Beyond Belief.” The subject of this demonstrates what I’m going to discuss in this posting. Titled “Twintuition,” this episode dealt with identical twins and rehashed the old myth that identical twins are linked by some sort of ”telepathy”. The show featured several pairs of twins and gave anecdotes of the often eerie similarities between them, such as wearing the same clothes or finishing each others sentences. 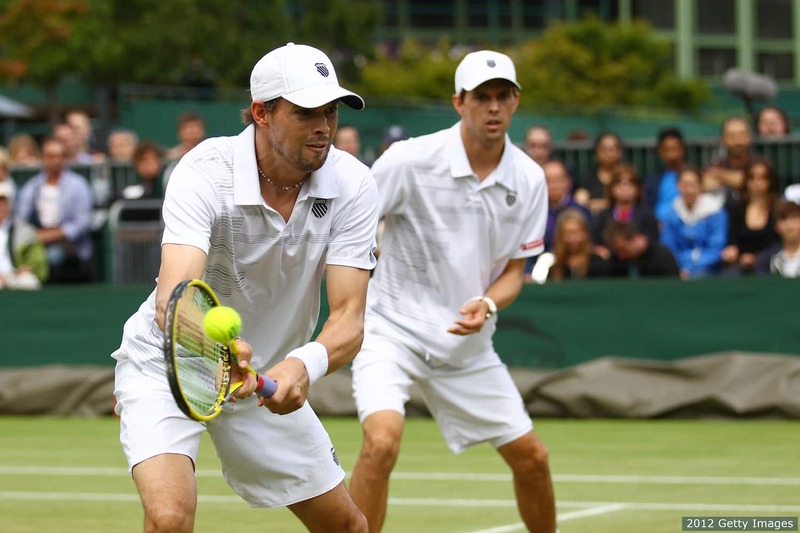 One set, doubles tennis stars Mike and Bob Bryan, even seem to anticipate each others moves on the court, leading some opponents to think that they were reading each others’ minds, purportedly giving them an unfair advantage. Of course, twins aren’t actually reading each others’ minds—at least, not through any sort of “telepathy.” But this phenomenon demonstrates the power of an often overlooked force: heredity. Identical twins share virtually 100% of their genes (save for a few minute mutations). Nancy Segal, a behavioral geneticist at the California State University, Fullerton, was featured on the show. She explained that research with twins has discovered that heredity impacts all aspects of human behavior, including the very way we think. Twins separated at birth and reunited often give tales of similar life histories, and in one case featured on “Primetime,” of even having just begun reading the same book. Given the same circumstances, such as the tests given on the show to the twins from the J.J. Pearce High School in Richardson, Texas, identical twins often give the same answers. The real reason that twins seem to act as if they shared some sort of paranormal link is because identical twins think so much alike. The pervasiveness of heredity down to all these aspects about ourselves—from the specific to the gross—is central to what I’m about to discuss. Today I’m going to start with a topic I wrote to one my favorite social commentators—comedian and political satirist Bill Maher. On the May 20th, 2011 episode of his hit HBO talk show, Real Time with Bill Maher, he featured the “Tiger Mom” Amy Chua, author of the book Battle Hymn of the Tiger Mother, as his first interview guest. Hi Bill, This is my first time writing to you. I absolutely love your show and I look forward to watching it every week; in fact Real Time is one of the few shows I watch on TV. I love your comedy and I’m proud to say I’ve been see your stand-up act in person. I’m a loyal fan of yours and I have been for many years now. And in many ways, I must credit you for my political views and for inspiring me to express my thoughts and speak the truth, whether or not it’s popular. I love your no-nonsense way of cutting through much of the bunk that permeates society, especially that which comes from a certain side of the political spectrum. While I don’t always agree with every point you make, I can understand your point of view. However, I am compelled to write to you about your conversation with the “Tiger Mom” Amy Chua, because you both have unfortunately propagated some very disturbing falsehoods. Chua’s book, and the particularly harsh formula for raising successful children that she espouses, are based on a faulty premise: that parenting can greatly affect the outcome of children. This is false. Steven Pinker, your fellow Project Reason Advisory Board member, has discussed this in detail in his 2002 book The Blank Slate. A chapter of Pinker’s book is devoted to discussing what Judith Rich Harris researched for her 1998 book The Nurture Assumption: twin and adoption studies (collectively known as behavioral genetic studies) have consistently shown that differences in parenting do not correspond to differences in how children turn out, once you control for heredity. Identical twins, as well other biological siblings, are no more similar when raised together than if raised apart (being about 50% and 25% similar overall, respectively). Adopted siblings, who grew up the same home and were exposed to the same parenting practices; with same amount of books; the same examples; the same degree of encouragement and discipline; the same amount of order or disorganization; the same level of quarrel or tranquility; the same permissiveness to watch TV; have sleepovers and go on dates—turn out to be no more similar than strangers plucked off the street at random. This is not just in IQ and large scale personality traits, such as how outgoing or talkative one is, but in real tangible “important” outcomes such as likelihood of getting divorced, finishing school (and the level of education obtained) getting into trouble with the law (Loehlin, Horn & Ernst, 2007; Harris, 2009), and even the income one makes as an adult (Bowles & Gintis, 2002; Caplan, 2009a; Caplan, 2009b, Edit, 3/17/14, [see also Cesarini, 2010, Hyytinen et al, 2013]. This also includes one’s body mass index (BMI); in defense (grudgingly) of Mike Huckabee and this infamous photo of him with his obese family, parenting has no impact on adult BMI, once heredity is controlled for (Grillo & Pogue-Geile, 1991; Harris, 2009; Keskitalo et al., 2008). It is their shared genes—not examples set by the parents—that explain the relationship between parents and their biological children (including the size of Huckabee and children). Here is a summary of all this in an essay by Harris about the absence of birth order effects. The ineffectualness of parenting was also the focus of a recent book, Selfish Reasons to Have More Kids by George Mason University professor of economics Bryan Caplan, which he broached in two blog posts in The Wall Street Journal (see here and here). Of course, any differences measured are all relative to the differences in the sample to begin with. Severely abusive or neglectful parenting—cases of which are routinely excluded from behavioral genetic studies—would have a deleterious impact, but thankfully, most American parents do not do these horrible things to their children. All of the studies—and there are lots—that have claimed to show a link between any facts about parents, whether it be their education level, their parental philosophy, their level of discipline/permissiveness or their communication, and their biological children all make the same fatal flaw: they fail to control for heredity (Harris, 2006, 2009; Pinker, 2002). It is not at all surprising that bright, hard-working and successful parents would have bright, hard-working and successful children. It is the same reason that tall, freckled parents tend to have tall, freckled children: their genetic endowment. It is interesting that in the discussion of the success of Chua’s children, no one seems to take note of the fact that their parents are both Yale law professors (Caplan, 2011b). Chua’s obsessive push for her children to succeed at things like classical piano and violin (which, not surprisingly, failed to a degree with her second child) played no role in their subsequent success—including getting into Harvard. This had more to do with the traits that Chua and her husband passed down to their children—which includes their intelligence, their self-discipline, and their commitment to task—as well as the neighborhood where they grew up and the studious peers found there in. I want to be sure to stress that heredity is far from everything (indeed, identical twins, who share all of their genes—save for a few tiny mutations—are only about 50% similar overall). But the evidence clearly shows that what is not in the genes is not in the hands of the parents. Instead, Harris posed in The Nurture Assumption that children’s peers were the main people who influenced their development, something she expanded upon and explained in her 2006 book No Two Alike. As such, I’m particularly disturbed by your claim that “discipline is love.” Not only is this false, but sadly, this will be interpreted by some parents as an invitation to abuse their children. Parents can indeed affect their children’s behavior in the short term—in the family setting—by how they treat them, and this is the major effect of parental discipline. This does not spill over into their behavior outside the home in the real world, where other factors, such as their experiences with their peers and good old luck come into play (Harris, 2006). Parents already stress themselves out enough trying to make sure their children succeed, so much to the point that Caplan believes that this discourages many couples from even having children or having fewer children that they otherwise would. And in some of the worst cases, parents subject their children to tortuous drills and impossible regimes in a foolhardy attempt to mold them into their vision of success, as Chua did, and for many, only to be disappointed when their children do not turn out like they hoped. Why “not let your children give up when they want to give up,” when children—and adults—often do have good reasons to give up, or not even try some things (Caplan, 2011c)? Parents cannot foster creativity in their children (if it wasn’t already present to begin with), so there is no point in trying to “strike balance,” as Chua suggested, at least surely not in the manner that she advocates. Why fuel that paranoia by lending credence to Chua’s rubbish? As to the difference between the overall success of the Chinese versus the Americans, it’s not so easy to boil it down to differences in parenting, or for that matter, differences in education. Jews have also been highly successful—more so than the Chinese and other East Asians—and typically do not push their children anywhere nearly as hard as East Asians typically do (Caplan, 2011a). Harris, Pinker, and Caplan have made efforts to make this knowledge widely known, but parents still believe that they hold their children’s destinies in their hands, so much so that abusive parents like Chua are embraced. Your show however reaches more people than any of these three likely ever will. Wouldn’t it be great to use your platform to counter this misinformation about the myth of the effects of parenting, especially in light of the popularization of this myth thanks to Amy Chua? I personally have wanted to see Pinker on your show for a long time, and I think this would be an excellent topic for you to discuss with him on Real Time. I also believe Caplan would be an excellent guest to discuss this topic. Thanks for taking the time to read my letter. I look forward to watching your show every Friday, and continue to be informed and entertained. Of course, the printed letter that I sent to him was bereft of hyperlinks so you reap the benefits of the internet. So far I haven’t received a response (and as 11/16/11, still haven’t..) nor have my points been mentioned or hinted to on the show. But that’s OK, I understand that Maher is a busy man—that, and I’m content that the subject nor Chua has come up since, so far. I still would love to see Pinker or Caplan on Real Time, though. Recently Caplan and Chua had a debate on the British Paper The Guardian, which can be seen on their website here. This is fascinating because I’ve wanted to see these two go head to head (I would have liked to have seen Pinker debate Chua even more). Not too surprisingly, it seems Caplan’s words were totally lost on Chua. I do admit the ineffectualness of parenting is rather counter-intuitive, and I’ve seen many really intelligent and reasonable fail to accept the enormous body of evidence that demonstrates that parenting hold up to the power we quite expect it to. This is will be the first of many things I’ll discuss here, but I’d love to hear your comments, so feel free to tell me what you think. Contrary to what Chua claimed on your show, one cannot make one’s children into “respectful, decent human beings who contribute to society” if it is not in their makeup, their peer environment, and the luck of the draw to become this way. What Westerners don’t really appreciate about Sinosphere parenting is that it’s designed to supplant peer environment with familial environment, which probably explains underperformance in college and post-graduate outcomes relative to secondary school by East Asians in the West. Extremely strict exogenous controls on behavior, with strong negative conditioning and liberal application of physical force are a coevolved strategy necessary to keep East Asians at a basic level of functioning. Weak internal motivation, vacuous sense of self, and near-absence of the entire psychological edifice of self-accountability means guaranteed collapse into life-endangering passivity and addiction in their absence. This holds true at all scales, from heavy-handed parenting to centralization of power in authoritarian, paternalistic-maternalistic states. What happens in environments where Western-style laissez-faire individualism has become normalized (e.g., Japan, increasingly diaspora communities in the West) is total dissolution. which probably explains underperformance in college and post-graduate outcomes relative to secondary school by East Asians in the West. Perhaps at that point talent matters more than effort? Extremely strict exogenous controls on behavior, with strong negative conditioning and liberal application of physical force are a coevolved strategy necessary to keep East Asians at a basic level of functioning. I wouldn’t quite say that either. Are East Asian communities outside of East Asia doing poorly? I suspect the East Asian strictness has more to do with preventing their children from becoming failures because of all the distractions out there and ensuring they keep up with all the other hyper-competitive East Asian parents. Very good post of yours above. I read the important book “World on fire” by Chua, following the review by Derbyshire (or was it Sailer’s ? ), and I appreciate the notion of “market dominant minority” introduced there. I still have to overcome my reluctance to read “Battle Hymn of the Tiger Mother”. I can easily imagine harsh things she is ready to do to other people’s kids for the sake of future well being of _her_ (_Chua’s_) daughters. Some hints of such attitude are scattered already in the “World on Fire” (rather subtle to be discussed here) and in her interviews. alas, it’s hilarious that we parents think we add such importance above & beyond what our genes already did. & it’s stressful to believe so! i explain to parents that kid’s brains are pretty much pre-set — the kid’s cognitive pattern of strengths & weaknesses is pre-wired & has nothing to do with whether a parent “parented” well (good parents worry way too much – & bad parents don’t worry enough.) PS – that picture of the huckabee family is gross, dude! This may be true for parents->children, but may not be true for parents->grandchildren. As you know happy children tend to find mating partners who are similar to parents. Hence happy children (hc) might subconsciously find a partner with whom they have children (c) who excel in all attributes, that made them (hc) happy, and thereby they (hc) are refining survival attributes in their children (c). Good parenting would partly be seeding into one’s own children which they (hc) would harvest. I’m not convinced that that is true. First of all, if people find mates like their parents, is this really just because they are finding mates like themselves? We know assortative mating is real and powerful. To test if people sought mates like their parents, one would have to look at the mates of adopted children, and see if they more resemble their biological parents or their adoptive parents. The only study I know of looked only at the physical resemblance of the spouses of adopted children to their adoptive parents. The study found a tiny resemblance, but it had a very small sample (26 families) and didn’t have biological parents as a control. > First of all, if people find mates like their parents, is this really just because they are finding mates like themselves? No, because if they didn’t like their parents, then they chose partners who didn’t resemble them. How good is the evidence for this? You ruin your reach with your political snide asides. Agreed, I usually find “political snide asides” weaken an argument and don’t seem necessary. Although I guess things are highly polarised in the U.S. .
Not quite so polarised here in NZ. The polarisation in the U.S. is an issue as the media don’t critique some of their countries leaders as much as they should. Obama should of been critiqued more, Trump has been critiqued too much so that standards have suffered. The best thing for freedom is a media willing to expose all issues not just their oppositions issues. If sub-optimal parenting has any negative effect on offspring outcomes, you would expect such genes (for being affected in that way) to have been largely flushed from the gene pool by now. Jews aren’t genetically smarter, in fact, Israeli Jews are generally lower on the IQ spectrum (less than 100). I’m pretty sure that the smartness of American Jews cannot be explained by genetical variance alone. Therefore I’d say genetics cannot be held 100% accountable for IQ, and that things like their childhood environment play a more significant role in this than what you’re saying. And you are wrong. See my HBD Fundamentals page. The ethnic composition of Israel is not 100% Ashkenazi Jewish. Including all 80s kids, I had been so busy being told just how special I was I didn’t get that that opted for everybody else, too. Now I’m sad that I’m less important. Severely abusive or neglectful parenting—cases of which are routinely excluded from behavioral genetic studies—would have a deleterious impact, but thankfully, most American parents do not do these horrible things to their children. Severe tiger parenting is also routinely excluded from genetic studies. Parenting may have no impact within Tiger Mom samples (Japan) and within non-Tiger Mom samples (white America), but in order to see an effect, one would need a sample that included both Tiger Moms and non-Tiger Moms. In other words, studies in both Japan and in America may both suffer from range restriction. You believe that the effects of extremely bad parenting (abuse, neglect) are obscured by range restrictions. So why wouldn’t you believe the same for the opposite extreme? Actually it should be mathematically to possible to calculate the effects of extreme parenting simply by adjusting the existing studies for restriction of range. You are severely underestimating the variability of parenting in these samples. Look, the results hold up across multiple countries. Tiger mothering, or its Western equivalent, is not so rare that it would be exclude from studies (especially large adoption studies). Zilch. Further, let’s say Tiger mothering was responsible for E. Asian success? Then why do they do just as well when adopted by “soft” Western parents? There’s no there there. As well, while there’s a range restriction in adoption studies, there’s much less restriction in twin studies. Still nothing. Yes, it would be interesting to see how East Asians & Indian Americans do when raised by white parents. It’s interesting because I blogged about this exact same topic with respect to serial killers. Henry Lee Lucas had a horrific mother who forced him to attend school dressed as a girl. Did this contribute to him becoming a killer, or did the same genes that made him a killer also make his mother abusive? The overwhelming evidence from behavioral genetics shows it’s the latter. See my aforementioned post for discussion of criminality. Does this mean that the composition of the family(single parent, nuclear, extended, alternative, etc.) and the way they treat their children has no impact on their development as long as they are not abusive? Further, is peer environment the only factor found outside of genetics to affect who a child becomes? If so, does affecting it by controlling the environment the child grows up in, school they go to, etc. have an impact or are all efforts taken by parents to improve the life and prospects of their children useless? Further, is peer environment the only factor found outside of genetics to affect who a child becomes? Well, to be fair, Harris greatly overstated the case for peer effects. Evidence is really only reliable in the case of content-laden aspects of behavior, such as language or dress, or initiation of certain activities (like smoking). There’s little evidence peers effect long-term development beyond these things. So broadly, most parental effort is wasted, beyond keeping children healthy and safe, and making their lives as happy as possible in the here and now. Anyone who has ever grown plants or raised animals, knows that genetics is a huge part of what their outcomes are. But while ‘good genetics’ play a very key role – ideal environmental circumstances play the biggest role in a population of moderate genetic variation. In otherwords, you could give me a seed containing the genetics of a poor-performing plant, and a novice grower a seed of a genetically-superior plant, and I will still get 3-4x more yield out of my plant than they will, because I am an expert at cultivation. What metrics would I use ‘yield’? Could be size, could be fruit production, could be the ability to fight off infection, could be lifespan – as the grower, all of these can be tuned by controlling which parts of the plant get light, when they get light, the nutrient balance, and physically restraining/manipulating the plant. Now, give me a seed of high genetic potential, and sure enough the ‘yields’ will be higher still – but that isn’t the point. While I agree with the concept of HBD, and im an Epigeneticist by trade, pragmatically speaking I absolutely *will* cultivate my plants/children to get the most out of them, and further more, it would be foolish not to. While I agree with the concept of HBD, and im an Epigeneticist by trade, pragmatically speaking I absolutely *will* cultivate my plants/children to get the most out of them, and further more, it would be foolish not to. I think you’ve gotten to that point after giving them food, water, shelter, basic human interaction, you know – typical life. Everything past that is just to make you feel better. It is statistically demonstrated that IQ is much more hereditary than environmental. But this is because IQ tests have been specifically designed to be culturally nuetral and measure raw g. You cannot really think that education and life experience have no bearing on life outcome at all. If that is what you believe then an 18 year old high school graduate with a high IQ would be just as succesful at wining a law case as a 50 year old Harvard Law Graduate with 30 years of experience with the same IQ. No, surely most fields require a great deal of education and experience. The more education, experience, and wise advice a parent can cram into the home environment, the better the child will be. Where do education and life experience come from? The more education, experience, and wise advice a parent can cram into the home environment, the better the child will be. Happier, maybe. Not any better off. Education and life experience can come from many sources. Look if you put a young man on a desert island with no tools and no knowledge of primitive survival he will ptobably die. On the other hand if you put him on a 1 month survival course where you teach him to make fire, build shelters, spear fish, etc. He has a much higher chance of surviving. You can increase his life outcome considerably with just 1 month of education. On the other hand if you put him on a 1 month survival course where you teach him to make fire, build shelters, spear fish, etc. He has a much higher chance of surviving. Who decides to take survival courses? A parent might decide to enroll their kids in survival classes, or they might raise them in a wilderness environment and teach them survival skills themselves. Or a parent might push a high IQ kid to pursue Medicine or Law, whilst another parent might push a high IQ kid to study art. The kid may be destined for reasonable success in any field, but if the parents pressure the kid to do law he will likely end up richer. You need to read my post The Son Becomes The Father, because we have hard data on this. Namely, there is a shared environment effect on education, but that doesn’t translate into anything in the real world, because there is no shared environment effect on any major life outcome. Indeed, a Danish twin control study specifically found that educational differences have no effect on lifetime income net genetics. I grasp that we all make our own way in the world; is it not still possible that parents who encourage their children to identify their aptitudes early and provide mechanisms for their kids to explore (interests, occupations, etc.) do influence said kids’ success in matching aptitudes with the path ahead? If this is not so, then as one example how did my youngest begin college programming classes at 15 (unheard of at the time), and then get a BS in Comp Sci and take a job with a major corporate IT department at 20? Only parental openness to the unusual allowed this. Parents can surely provide a degree of *leverage* to sons in a position (by their DNA raw material) to use it. Sure as heck my three sons are all a mile ahead of where I was 24-30 years ago, and while my wife is bright, their amplified success-track suggests an effect from differences between my childhood and theirs, and I see the times as tougher now than at the beginning of the 1982-2000 boom when I was their ages. Could this approach show up in the data? My guess is that it is so rare that no study could address it. Most parents do little more than attempt to hammer their square-peg kids into the illusory round hole in which the parent wished they occupied 30 years earlier, so of course it’s a rounding error off zero how often parents actually have a clue how to help leverage their kids’ talents. I consider it fairly certain that had my own (adoptive) parents used my approach, I’d have amplified my life’s trajectory dramatically. If luck does play a role, isn’t “being lucky” in ones choice of parent material? Just curious. All those “whiz kids” 2-week summer programs letting my kids explore engineering, computers and related subjects (they chose) starting in grade school seemed to have an effect, and if instead they had simply doubled their video gaming (like many peers) it seems like it might have mattered. Anecdotal, I know, but tiny, significant details can surely disappear in data aggregates. Could this approach show up in the data? My guess is that it is so rare that no study could address it. It would, but it doesn’t, indicating that it doesn’t exist. First off, what is the definition of not being abusive. Living in poverty and in perpetual state of stress leads to a whole host of negative coping mechanisms. African Americans have an infant mortality rate double that of whites in this country indicating that there is great disparity in pre-natal care. To dismiss these disparities and then argue that IQ differences are genetic in nature seems to completely disregard the different skills needed to survive in ones said environment. Writing and the need for an expansive vocabulary has only been needed in the last 6,000 years. The majority of human evolution took place hundreds of thousands of years prior to the invention of writing systems. If you were to take a high iq individual from Europe and place them in the harsh environment in Africa, how important will those IQ skills be? Your assertion that the HEAD start program in fundamentally false. Head Start has substantial positive effect on children while they are in the program but the effects disappear seemingly after they leave. The main reason for this is because HEAD START does not fix out of school factors that contribute to the deficiency to begin with. By the time a poor child, who are often are minorities, enters kindergarten he/she has been exposed to 1 million less word than a affluent counterpart. Now, in terms of why poor whites outscore affluent blacks, this may have to do with linguistic differences and exactly what skills are emphasized for success in ones environment. The data is more telling when it comes to hispanic people. As you know, being hispanic is not a race. Hispanics can be white, black, native, and more often than not, a mixture of races. Despite this, all hispanic groups tend to do worse on IQ exams than their white peers. To take one measure and try to use to explain something as complex life outcomes is a scientific fallacy. PS: Good luck explaining why the kids of highly successful blacks revert to their ancestral mean across numerous social measures. I doubt it’s because dad the doctor exposed them to a smaller vocabulary…or are you arguing that affirmative action yields a population of black professionals who lack the normal vocabulary of their white peers? Oh, I hadn’t considered that; what a subtle level of trolling…. PPS: In a few years I suspect it will be trivially easy to select embryos for characteristics like higher intelligence. When that arrives it will eventually lead to virtual elimination of stupid people by what amounts to selective abortion (it’s now possible to similarly eliminate Downs Syndrome fetuses at a very early stage.) Conceptually, if Mankind begins to bifurcate into a shallow end of the gene pool created by dysgenic reproduction of the chronically dysfunctional and a deep end of the gene pool created by smart people working to produce even smarter kids, how long will it take for the latter to stop tolerating the demands and threats of the former?